About Company | VINSELEKT MICHLOVSKÝ a.s. The founding of the Vinselekt Michlovský SpA winery in 1993 was preceded by the more than thirty-year career of the wine 'guru', Doc. Ing. Milos Michlovský, DrSc in the professional wine world. 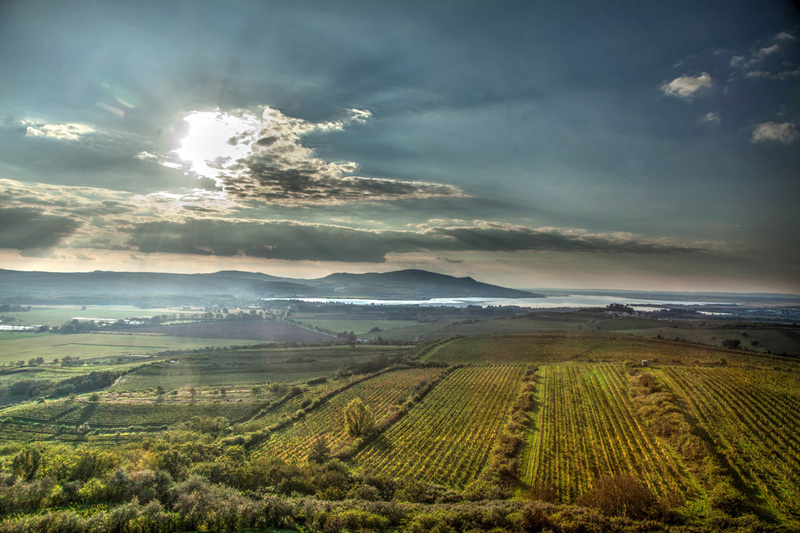 The winery owns and takes care of about 125 ha vineyards in Velké Pavlovice and Mikulov subregions. From the very beginning of existence, Vinselekt Michlovský SpA, has been receiving leading awards in many categories of wine competitions at home and abroad, and in spring 2010 gaining the first-ever award, Winery of the Year, 2009 (photo). Perfectly positioned vineyards, especially the Pálava Hills, together with a convenient limestone bedrock, favourable climatic conditions and traditional processing expertise, allow us to produce beautiful wines having excellent freshness with fruit and floral notes and also full-bodied wines, extractive and spicy with a good prospect for aging in the bottle. "It is very important to give the wine its freedom, avoid interfering in its natural way and leave as much as possible to the terroir and the variety, and all this with a minimal usage of sulphur dioxide", says the wine guru. The annual output of about 1.3 million bottles is categorized into several series, which differ both in grape origin and processing technological. Our wines can be purchased in practically all market segments from premium gastronomy through wine shops and to the retail sector. New vine varieties, cultivated by the team of the Doc. Ing. Miloš Michlovský, DrSc., are predominantly used for the bio-production of wines and musts. The innovation and creativity are also a very important aspect at Vinselekt Michlovský SpA, which is shown by a new series of low-alcohol and de-alcoholised sparkling wines a Terasso (white, rose, red) whose production uses the most advanced technology that allows full retention of the flavour.